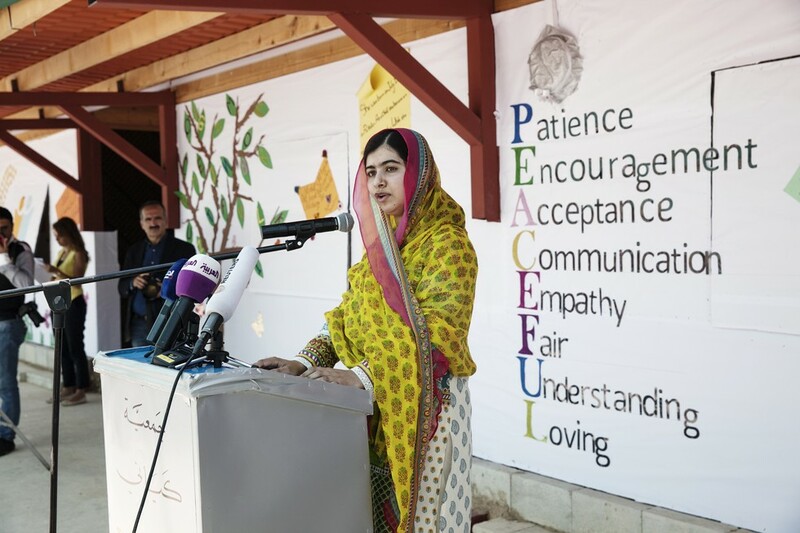 Today, on the third annual “Malala Day,” Malala Yousafzai marked her 18th birthday in Lebanon, opening the Malala Fund’s “Malala Yousafzai All-Girls School” near the Syrian border, which will provide quality secondary education to more than 200 Syrian girls living in informal camps and out of school in the Bekaa Valley region. In honor of Malala Day, we also announced a new grant of $250,000 USD in support to UNICEF and UNHCR, to meet the funding shortfall for girls’ school programming in Jordan’s Azraq refugee camp. 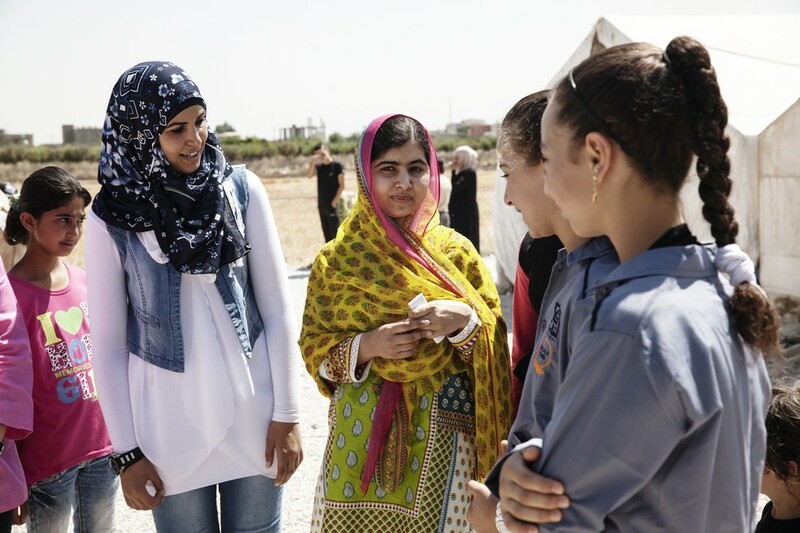 In Lebanon, the Malala Fund is providing funding to local partner NGO the KAYANY Foundation to provide baccalaureate and life skills training to 200 Syrian refugee girls ages 14 to 18. The new curriculum will enable students to receive their baccalaureate or vocational degrees through the Lebanese Ministry of Education and Higher Education or the Syrian equivalent. Students unable to commit to the four-year baccalaureate training will participate in skills courses intended to help them find work and generate their own incomes. Leading up to Malala Day, people globally have taken action in support of Malala Fund’s #BooksNotBullets campaign to shine a light on the importance of quality education for girls around the world. Together with leading education groups, the Malala Fund is calling on world leaders to invest an additional US $39 billion in education – the equivalent of only eight days of military spending – to ensure that every child gets 12 years of free, quality primary and secondary education. The online campaign culminates this Sunday for Malala’s birthday. “On behalf of the world’s children, I demand of our leaders to invest in books instead of bullets. Books, not bullets, will pave the path toward peace and prosperity. Our voices will continue to get louder and louder until we see politicians and our governments invest in the education of their youth rather than military and war,” said Malala. “To all the students, you will read new books. You will discover new ideas. You will learn together. You will dream together. And you will inspire the world,” Malala concluded.